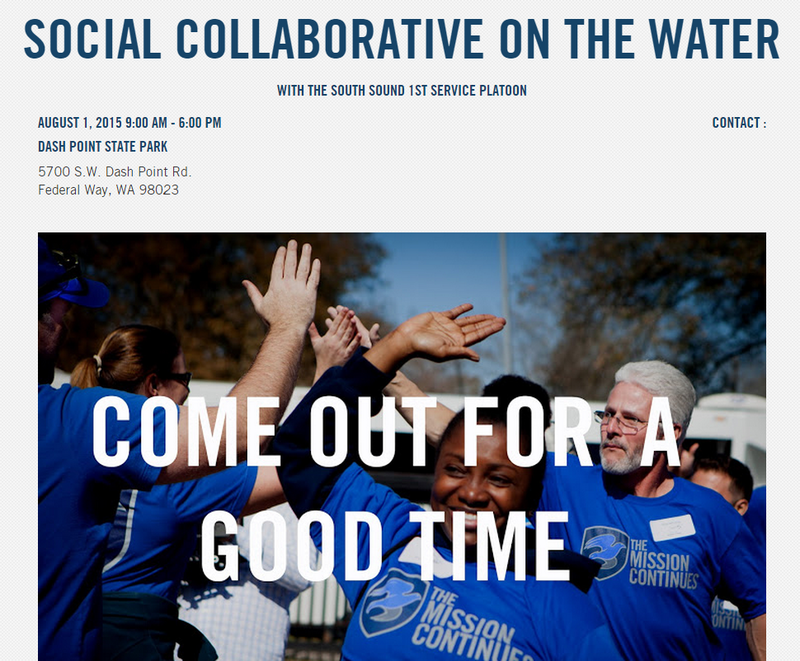 1st Platoon South Sound Platoon members will join the Seattle Stand Down and Heroes on the Water volunteers to provide a day of outdoor activity and #onemilitaryfamily camaraderie for the Veteran residents of the Salvation Army William Booth Center on Saturday, August 1st from 9am to 6pm. Platoon Members can register here for the event. Please be advised the State Park where event will be held requires a discover pass or $10.00 fee per vehicle for parking. If this is a problem for anyone please let me know I can reimburse this expense. Heroes on the Water are providing the kayaks and poles for veterans, but if you have your own pole feel free to bring it! Don’t forget sunscreen, towels, and other summer essentials, like a 90’s boombox and blueblockers. Continental breakfast, lunch, and a fish fry dinner will be provided! If you can’t make the whole day feel free to stop by for as long as you can and say hello to old and new platoon members. This is our first social of the Platoon Year and just in time to savor the summer sun before getting dirty with high impact projects in the South Sound. * William Booth Center veterans are veterans living in a clean and sober transitional home while they rebuild their lives. This is a great opportunity for them to feel normal for a day amongst their veteran brothers and sisters. If you have any questions or concerns please email Ryan Mielcarek, 1st Platoon South Sound at rmielcarek@missioncontinues.org. TMC is assisting with food for the day so if you want to volunteer to assist please contact me. We plan to take a Platoon Photo to update our Platoon Website on Saturday so sport your TMC Blue. Look for the 1st Platoon South Sound Guidon and bring your summer chairs if you have them.